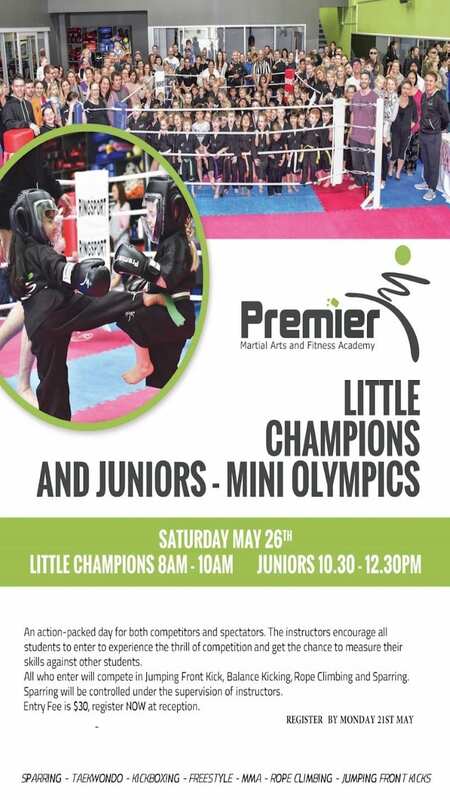 Our first Mini Olympics for Little Champions and Juniors is on Saturday May 26. 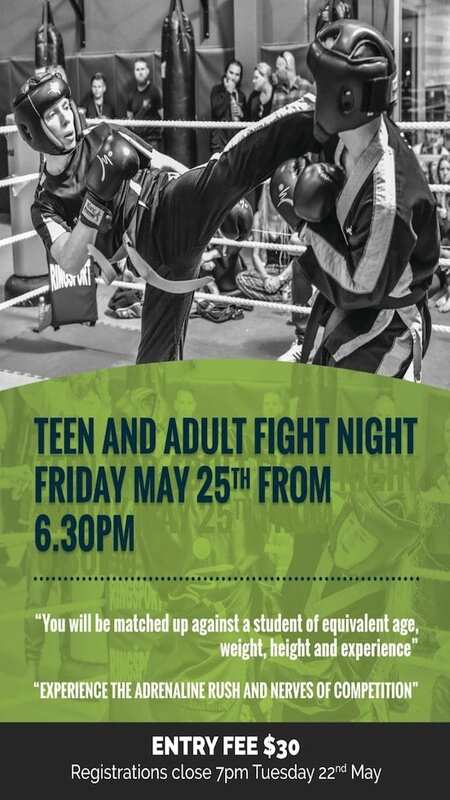 Our first Fight Night for the year is on Friday May 25 starting at 6.30 PM. Entry for competitors is $30 and spectators are most welcome!